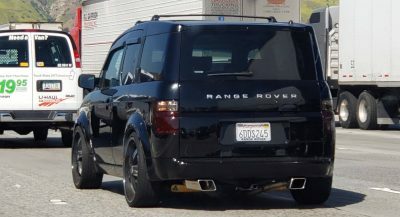 If you’re a top exec for a major tech company it goes without saying that you can afford the privilege of having luxury car manufacturers build you highly-personalized cars. 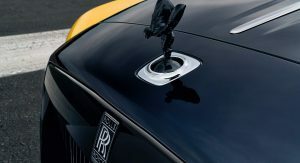 Google’s Vice President of Engineering, Benjamin Treynor Sloss, also happens to be a major car enthusiast and collector so he commissioned Rolls-Royce to build him a very personal Dawn Black Badge. 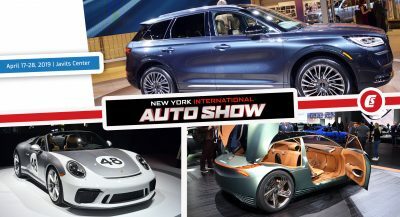 The car has been presented to him by the company’s CEO Torsten Müller-Ötvös himself, with the delivery taking place on Saturday night at the Pebble Beach Concours d’Elegance. 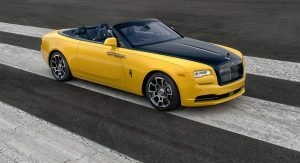 Created in collaboration with the Rolls-Royce Bespoke Collective in Goodwood, Sloss’ Dawn features a reinterpretation of the livery found on his and his wife’s racing cars — which include a Ferrari FXX-K among other rare models. 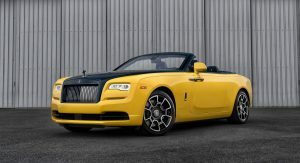 Rolls-Royce craftspeople reinterpreted the color scheme (which includes the colors of the flag of Modena) the into the brand’s design language, creating two new bespoke paint colors for the exterior. 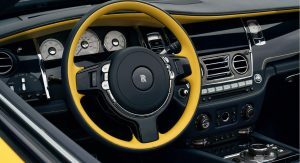 The intense deep yellow has been named “Superflare,” with the contrasting navy blue named “Pikes Peak Blue” due to the owner’s interest in the legendary hill climb event. 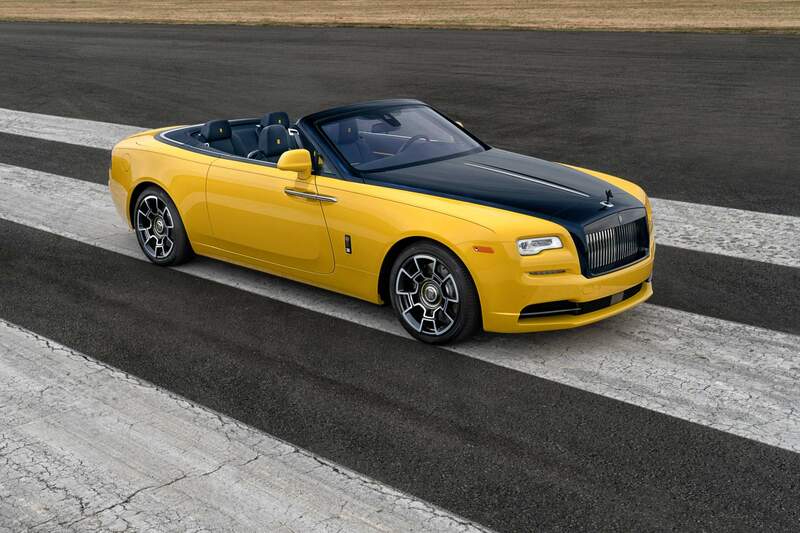 The bespoke Rolls-Royce rides on unique 21-inch carbon fiber and aluminum wheels that also feature a flash of Superflare yellow. 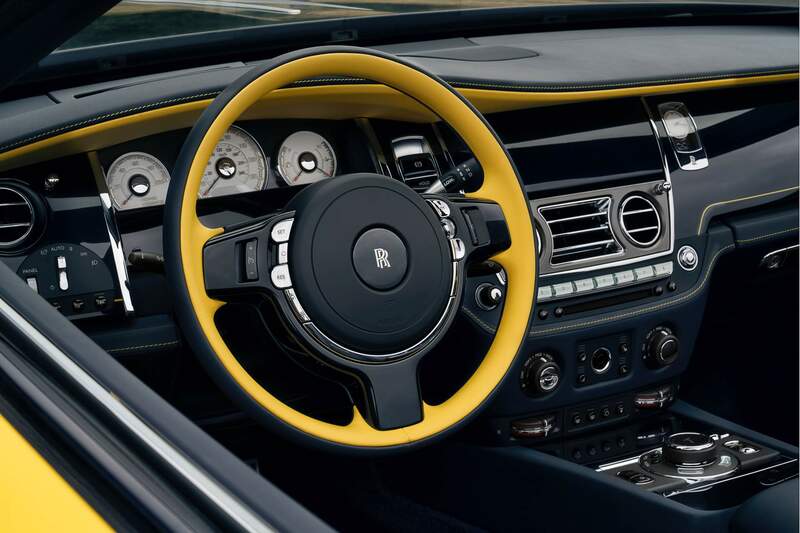 The color scheme carries on in the cabin, with the seats, dashboard, tonneau cover and rear seat waterfall wrapped in Navy Blue leathers accented with Bright Yellow seat piping, stitched RR headrest logos and an infinity logo between the rear seats — a feature unique to Black Badge models. The yellow theme continues with a yellow flash on the door cards, Bright Yellow pinstripe applied to the Piano Milori Blue wood dashboard, and the two-tone steering wheel combining Navy Blue and Bright Yellow. Modifications are rounded off by a Navy Blue leather-clad Aero Cowling enclosing the rear seats. 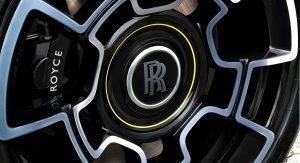 Interestingly, the Sloss family already owns a Rolls-Royce Dawn which is used by Benjamin’s wife Christine as a daily driver and has clocked 13,000 miles (20,921 km) so far. Having moolah doesn’t mean you have class. That will lose 80% of its value in 1 year. 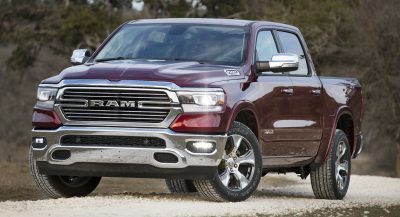 The depreciate worse than any other car, but some actually gain value after 20 years. I doubt the guy cares, considering his job and current car collection. Wow, I’m so proud of him for having the courage to show his poor taste in front of the world. 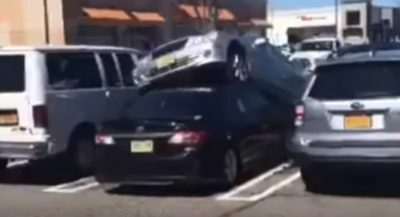 Way to go buddy. I’m rooting for you. My god that’s hideous. That Google exec is going to look like a giant [email protected] in this thing.